When i say “The Struggle is Real” it couldn’t be more true for those of us that wear glasses. I am shortsighted so my distance vision is terrible but close up is perfect. For those of you with the opposite problem doing makeup can be a real challenge without your glasses. I have heard from friends that a great idea for doing makeup for those of you that are longsighted (people with difficulty seeing up close) can use a magnifying mirror, Tweezerman does an amazing mirror that is 10x magnified and has suckers on the back that can be stuck to any surface that’s really just one way i can think of to help you. 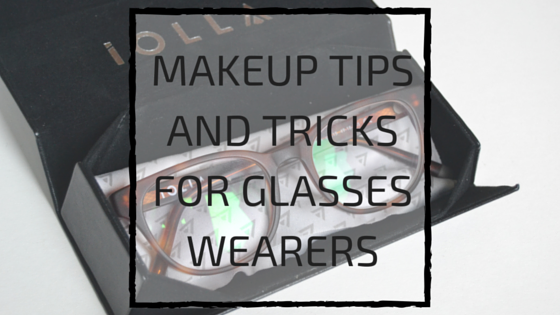 The practical side of makeup with glasses can be quite different as your glasses can either make your eyes look bigger or if you have a problem with being long sighted your eyes can look smaller so it’s all about doing your makeup differently to those who dont wear glasses. A few little tips i tend to use are if you like to wear a lot of eye makeup just tone it down a little as a little can look a lot with glasses and the opposite goes if your glasses make your eyes look smaller. If you are shortsighted and cant see far away you’ll notice that your glasses will make your eyes look bigger so something like a really soft neutral eye look with a really defined eyeliner and flick can look amazing with glasses as it tends to magnify what’s on your eyes. If you are longsighted and you have trouble with your eyes looking small a great thing i like to do is a really blended out smokey eye because this will make your eyes look bigger than they actually are using deeper colours at the edges of your eyes will really make them pop. One thing i do think that gets let out a let a lot with glasses wearers are eyebrows i think you should keep them well groomed and tidy because if you think about it your glasses almost frame your brows and if they aren’t groomed it can look a little unkempt. If you are prone to dark shadows under your eyes the lenses can sometimes make them seem darker so use a light reflecting concealer under your eyes to combat the darkness this way you will look wide eyed and fresh. I want to say thank you to Iolla for providing me with the amazing frames you see above, i choose the Paterson frames in Matte Medium Havana*. I have never found glasses that i have like before finding out about Iolla, They fit my face perfectly, they look amazing and they are so affordable at £60 a pair you can go wrong with them. There is just something about them that feels so premium. Each set of frames is custom made from the most premium acetate for enhanced design detail and quality. What surprised me was they were all named after famous scottish people from different parts of history. What are your tips and tricks for glasses wearers? 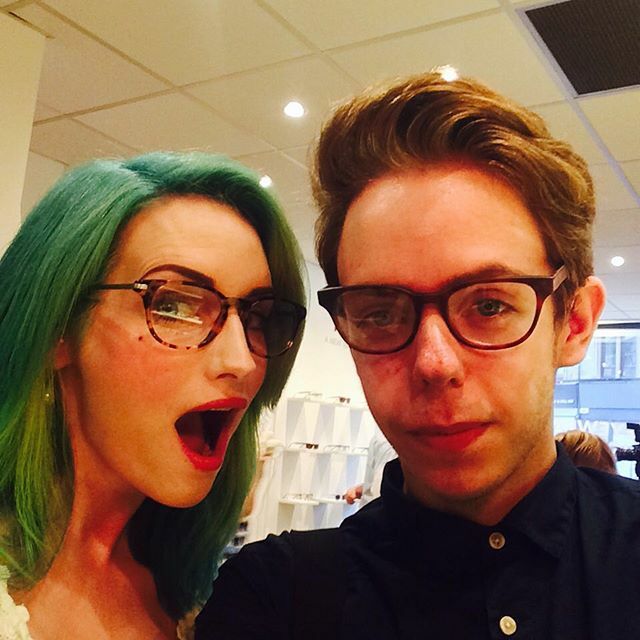 What are your favourite Iolla Frames?